SS Rajamouli's magnum opus "Baahubali" has entered into its ninth week in Chennai. The multilingual movie is still running in a notable number of screens in Tamil Nadu despite regularly facing competition from latest Tamil films. Behindwoods reports that "Baahubali" is still being played in a limited number of screens in its ninth week in and around Chennai city. The movie is still holding on to a decent number of shows in theatres like Satyam, Escape, Luxe, S2 Perambur, Inox, PVR and Sangam. Tamil and Telugu versions of "Baahubali" were released in the state. In the opening weekend, the Tollywood version had performed better than the Kollywood version. But, the scene changed after the first week, with the Tamil version making thunderous business. The trade reports say that "Baahubali" has earned above Rs 8 crore from the Chennai region alone from two versions. The movie has to add a crore to beat the record of Vikram's "I" and become the biggest hit at the box office in the capital city of Tamil Nadu. The underlining part of the success story of "Baahubali" in Chennai is that the movie has done well despite not featuring any Tamil actor in the lead role. "Baahubali" faced competition from big movies like Dhanush's "Maari" and Simbu's "Vaalu". But, the film's business remained unaffected. The movie has completed 57 days in theatres on Friday, 4 September. 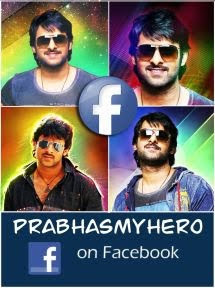 The film's cast included Prabhas, Rana Daggubati, Anushka Shetty and Tamanna Bhatia in the lead roles. It has been written by Vijayendra Prasad. There are two parts to the movie series, with the first instalment being released on 10 July. The second instalment will be released in 2016. The two parts of "Baahubali" is being made with a budget of Rs 250 crore. However, the first instalment alone has grossed close to Rs 600 crore worldwide.